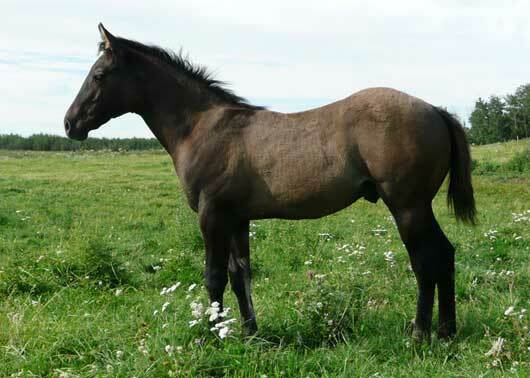 High selling colt sired by Highbrow San Peppy, out of the dam Pikin Bit Cotton. Twin Arrows Ranch held their 16th annual Paint and Quarter Horse production sale in Stettler, Alberta on Sept 24th. Fifty-four horses were put up for sale with 51 finding a new home. Three broke geldings averaged $2,617 with the high selling gelding bringing $3,100. Pepalena Rose, a three-year-old red dun mare sold for $2,550. Five yearlings averaged $1,260 with the high seller being My Own Boon, a red roan gelding bringing $3,700. Ten broodmares sold for an average of $840 with the high seller being Skippa Calico Rose, a black and white homozygous mare, selling for $1,600. 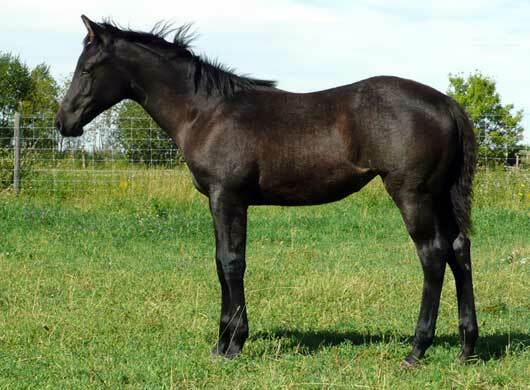 High selling filly sired by Especialysmart Peppy, out of the dam Peppy Olena Blue. Twin Arrows Ranch sold eight Quarter Horse fillies and six Quarter Horse stud colts. The fillies averaged $616, with a blue roan filly by Especialysmart Peppy, selling for $1,300. The Quarter Horse colts sold for an average of $917, with a grullo colt by Highbrow San Peppy selling for $2,000. Twin Arrows Ranch sold 10 Paint Horse foals with six fillies, for an average of $450. A black and white daughter of Peppys Olena Smart brought in $725. Four Paint Horse stud colts averaged $582, with three of them selling for $650. Guest consignors sold eight foals for an average of $200. We would like to thank the consignors and the buyers who have supported us throughout these past 16 years and into the future. We wish the best for you and your horses. Check out Twin Arrows Ranch’s website for full details and sale catalogue.